Tall Bearded Iris "Mrs ALAN GRAY "
Growing at home is the historic Iris, 'Mrs. Alan Gray'. Hybridized by Sir Michael Foster the man often called 'the father of Iris growing'. He made many valuable experiments in hybridization and collected an enormous amount of information which has been the foundation for most of the work carried out later by others. In the words of Mr. W J. Caparne " he was the classical authority and great exponent of the subject".Author of many short articles on Iris. He raised some fine seedlings using new strains from collected plants. Mrs. Alan Gray (Foster 1909) Colour effect a light phlox purple self. S.Light phlox purple, reticulated slightly darker. Falls phlox purple reticulated the same on lighter area along beard. Beard dense white, yellow tipped at the base. The plant is moderately vigorous and has medium foliage. The tall straight stemmed flower stalks, which have very short lateral branches are freely produced. And I could go on with many descriptions from many catalogues but there seems to be some contentious issues regarding this Iris. In December 2006 I received an order of Historic Irises from Maritima Nursery, North Otago. As the nursery had now closed the order was for any interesting Historic and Aril Irises that were available for sale and I was somewhat surprised to receive an Iris labelled MABEL MARY. 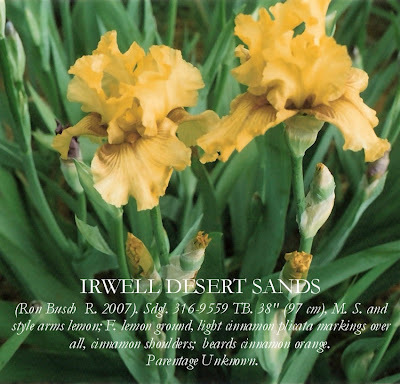 The 2005 Maritima Catalogue had this to say about the Iris listed as; BEARDED IRIS HISTORIC. This is probably a re-introduction as it was first listed by Otepopo Garden Nursery, Spring 2000 as Iris pallida- pink form. Some of us still believe thats how it should of been registered. however we lost the battle and it has been introduced as a TB cultivar. It is a lovely garden Iris looking very like Iris pallida except for its pinkish purple colouring. You may ask why I mention this, well a year later (2007) this Mabel Mary iris flowered and I found to my dismay that the Iris I had growing for all those years as 'MRS ALAN GRAY' was 'MABEL MARY'!!!!!! The big question is just how did Sir Micheal Foster and for that matter Jean Stevens get it so wrong ??? Perhaps it can be summed up by acknowledging that buying Irises today from some is like dealing with a lost ball in the high weeds!! 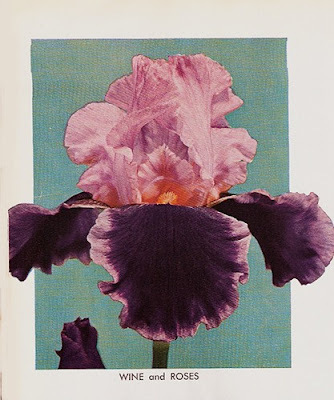 I firmly believe that the application to register the iris 'Mabel Mary' should have never been accepted as it is a iris with a lost label and had already been listed as 'Mrs Alan Gray'. 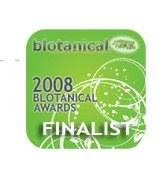 There are many references that could of been checked which would have avoided this situation and it is my strongly held view to maintain the integrity of the Iris checklists, that if an Iris has no provenance it should not be accepted for registration.Tagging a registration 'Found growing in a garden' is not research nor does it establish that it is a new hybrid or cultivar. This post is the first in a series of 7 or more articles, that will be featured on this blog over the coming months and will deal with the problems of some new Iris registrations that have occurred in New Zealand in the last few years. Perhaps I should write to the AIS Registrar/Recorder and suggest there could be a requirement for a new determination in the checklists, that of a Registered Synonym. The blog is celebrating its 1st year in the digital world. A lot could be said by others about this moment but for me its been a great time for learning the digital nuances that applies to blogging. Meeting interesting people that have visited the blog who have become friends and colleagues is the big plus. As the blog has used only 7% of its allocated 1024MB free space, visitors can rest assured that there is a lot more Irises with commentary to come. Tall Bearded Iris "AUTUMN CIRCUS "
Its was a bit like saying Las Vegas needs another Casino or Taupo needs another Motel, I mean just how many Blue and White plicata's does a garden need? Well my friend was right and this classy variety presses all the right buttons when determining a excellent plicata garden Iris. Shorter than most Tall bearded Irises, it has good clean foliage, increases well, with plenty of bloom stalks with a impressive bud count and what's more if you treat it right it will be back in the Autumn with another great show of blooms. What more could you ask for?? A five Star Iris from a Legendary five Star Hybridiser.I am somewhat surprised that this Iris is not voted in Official Tall Bearded Iris Symposium of the American Iris Society, which determines the One Hundred Favourite Tall Bearded Irises for 2008, but unfortunately the variety does not meet the selection list criteria. AUTUMN CIRCUS (Ben Hager, R. 1990) Sdlg. RE4889StpPc. TB, 34" (86 cm), E & RE (Sept-Oct/CA) S. white, lightly peppered blue violet to solid edge; style arms deep violet; F. white, bold lines radiating from white beard, blue violet plicata edge. T3711Pc: (Space Odyssey x Socialite) X Earl of Essex. Melrose 1990. HM 1994. Available from Schreiners and Cooley's in the US of A and Aulden Farm in the UK. Tall Bearded Iris "WINE AND ROSES "
Still flowering today after a week of banging out blooms and more buds to come. A Re-Bloomer for sure from the hands of David Hall a Legendary Hybridiser!!! An Iris of significant Historical interest, the first Iris with this colour pattern, a breakthrough at the time.Great Parent (Pollen parent to 'Latin Lover') and Ron Busch used this Iris in his breeding program and it appears in the parentage of his Iris 'Brookside' . WINE AND ROSES (Hall, 1963) M. 36"
WINE AND ROSES (D. Hall, R. 1963). Sdlg. 59-26. TB 35" M. V3. S rose-pink; F violet-purple edged rose-pink. From two sdlgs. of same coloring., Cooley 1963. HM 1964, JC 1964, 1965, AM 1966. New Zealand Tall Bearded Iris "IRWELL DESERT SANDS "
IRWELL DESERT SANDS (Ron Busch R. 2007). Sdgl. 316-9559 TB. 38" (97 cm), M. S. and style arms lemon; F. lemon ground, light cinnamon plicata markings over all, cinnamon shoulders; beards cinnamon orange.Parentage Unknown. Note: There is no Iris registered as 'Irwell Dessert' this name has been double checked with the AIS electronic directory. Perhaps if one was to be kind, this issue could be considered an excellent example of the exhibitor's limited knowledge of New Zealand Iris nomenclature and a judge that has not being kept fully informed of the latest breeding advances with newer New Zealand varieties. I have removed "Question's that need to have answer's" section from this post as I believe to receive answer's would be unrealistic and the problems within the New Zealand Iris Organisation regarding Wrongly labeled Irises is systemic and will not change anytime soon. I will be highlighting the problems over the coming months.